Bra strap elastic with smooth and shiny satin face and comfortably soft plush back. Premium quality. Composition: 85% nylon, 15% Spandex. Latex free, but please be aware that this elastic is manufactured in a factory where latex products are made. 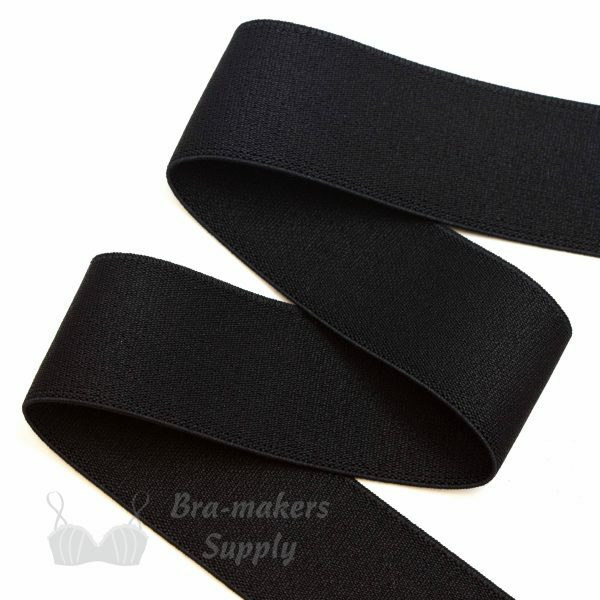 At 19mm (3/4 in) wide, this elastic is suitable for larger sized bras. Click here for matching rings and sliders.